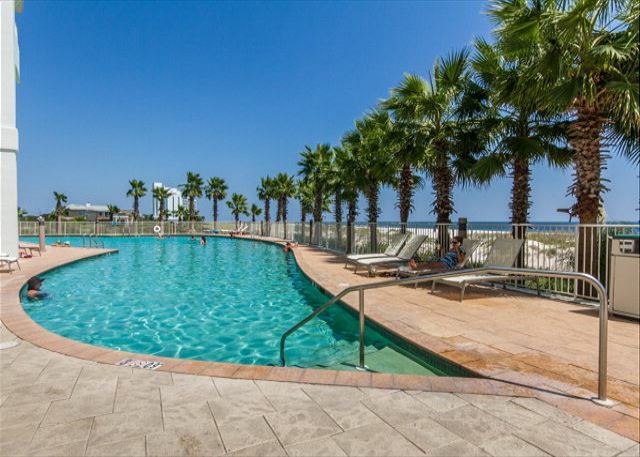 Turquoise Place Resort, the largest and most up-to-date vacation rental resort that beautiful Orange Beach, AL has to offer. 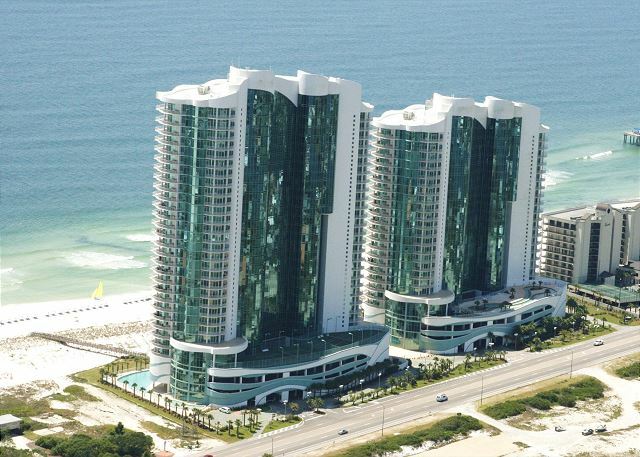 A family oriented beachfront vacation rental complex located right on the beach. 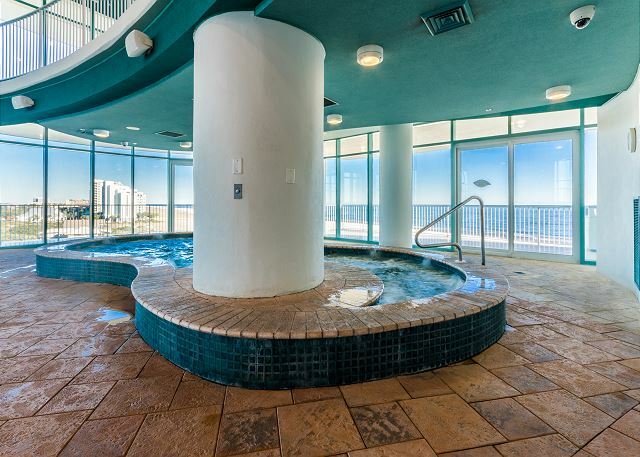 The private hot tub and gas grill on each individual balcony truly sets Turquoise Place apart from every other vacation property. 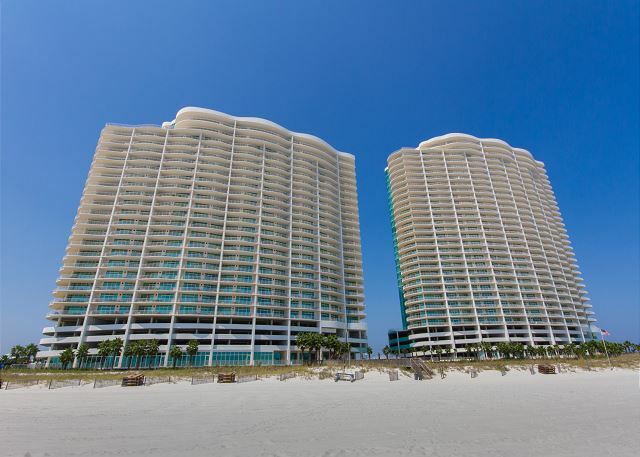 Turquoise Place 1502D is a Gulf Front condo with 3 bedrooms and 3.5 baths. 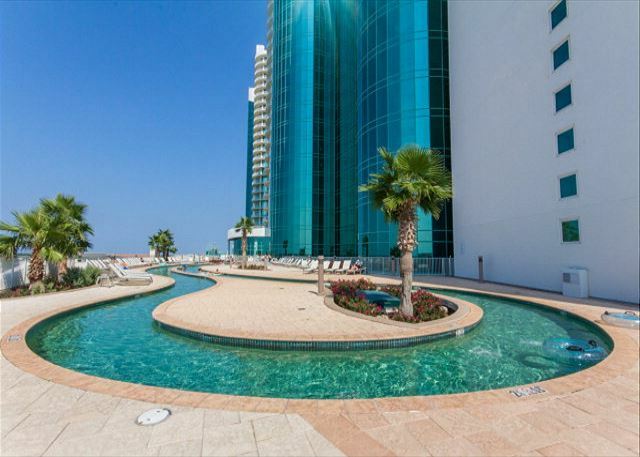 Enjoy the spacious, over 1200 square foot balcony with stunning views of the Gulf of Mexico! 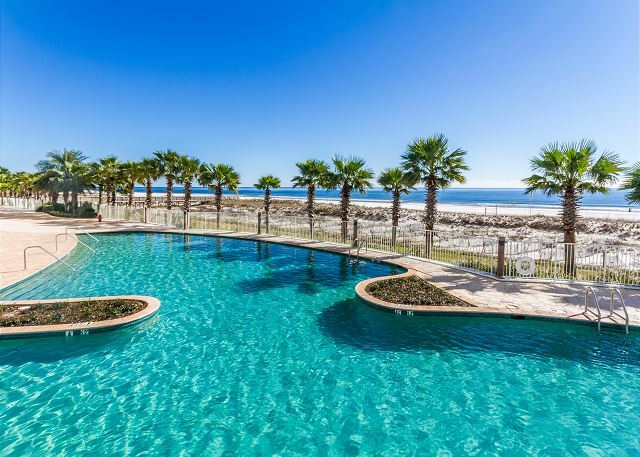 Prepare to be forever spoiled on your beach vacation once you experience Turquoise Place Resort in Orange Beach, AL. 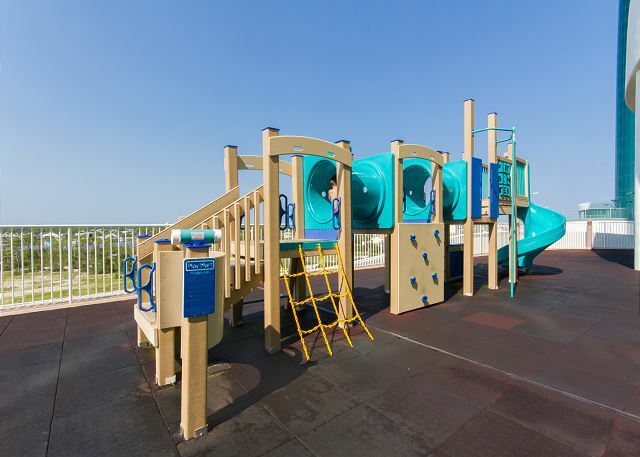 * Outdoor playground for the kids to enjoy! * Two outdoor hard Tennis Courts for daytime and nighttime play. *Family friendly resort activities are offered daily at Turquoise Place. * Resort Shopping: A unique boutique with high end resort wear as well as exclusive Turquoise Place apparel & beach toys. We enjoyed our stay at Turquoise. The condo was awesome. Beds were all comfortable and we loved the decor. Would recommend this unit. The guys grilled the first night while the girls enjoyed the hot tub. Everything was over the top, from the appointments to the appliances to the amenities. My only negative was the internet service, which was one step above the string and a can I used when a kid. Probably something the homeowners association should address but that was the only negative out of an otherwise outstanding stay. And CERTAINLY will book again. Joy and her staff are VERY focused on service. I first want to thank Joy and her staff for a very very good service environment. Our 3 bed 2 and 1/2 bath was very nice. After visiting with Joy I feel very comfortable in her teams ability to help me find luxury locations for my family again and again. A beautiful stay in paradise!! or my first visit in Sep 2016 to check out the condo and the Orange Beach area. I will say I was so impressed that I booked this condo for the entire month of Nov 2016 and Jan-Feb 2017!! 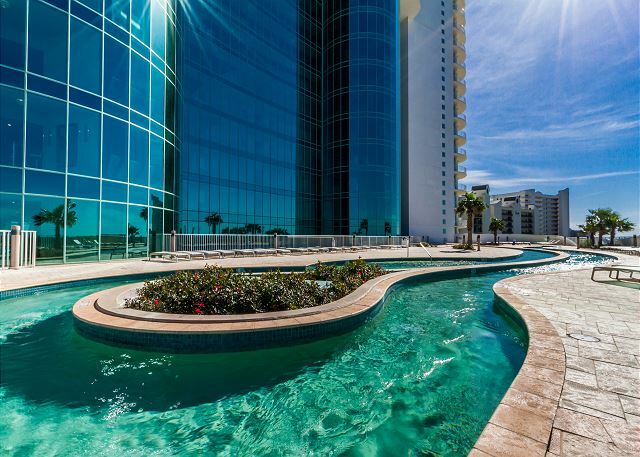 I can promise that you will not be disappointed with any part of this condo or the Turquoise property! It is nothing but fabulous! Being on the 15th floor the views are simply breathtaking. The condo is beautifully decorated and all the beds and furniture are very comfortable. There is a brand new mattress in the master bedroom, and also a new dining room set and bar stools that are gorgeous! The kitchen is well equipped with everything you need including new cookware. The bathrooms all have plush linens which you will love. I have thoroughly enjoyed having my own grill and hot tub conveniently located on my balcony, seriously who could beat this!! Whenever there has been any issue with the condo, Joy and her team are just a phone call away to assist. Her goal is to make sure you have the best possible vacation experience. She genuinely cares about her guests. I would most definitely recommend this condo and the Joy Sullivan team. Simply the BEST!!! This condo is absolutely gorgeous! 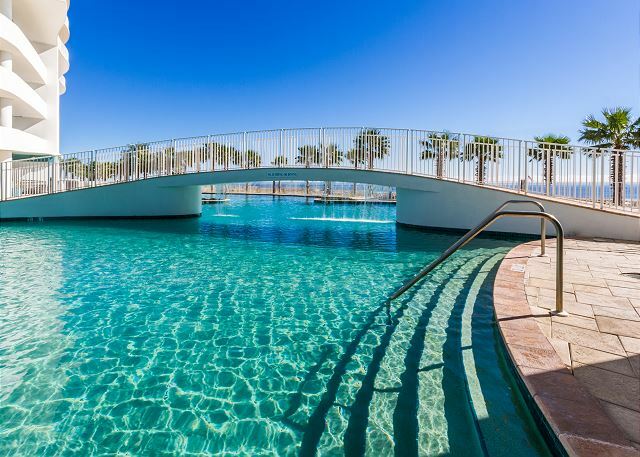 The entire complex has everything you would need or want for a vacation spot! 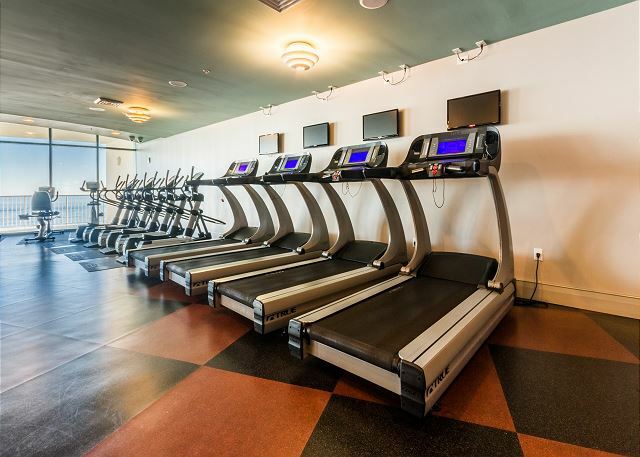 This condo is very beautiful and well equipped! Views are stunning! Joy is simply the best to work with, goes above and beyond to make sure your stay is perfect! My family had the pleasure of staying here for 3 nights. It was fabulous, wonderful, relaxing, exhilarating, awesome, comfortable, roomy, clean, and definitely at the top of my list of best hotel/condo in the U.S. If you are willing to spend the extra cash, please stay in the unit at least once in your life...You will not regret it. There was always something to do. Everyone enjoyed it, from the 2 year old to the 65 year old. The lazy river lived up to its name...We spent hours floating around each day, without a care in the world. 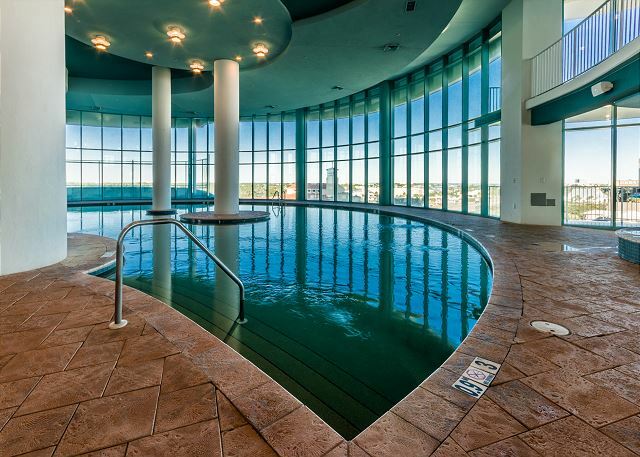 Then we would enjoy one of the pools in our building. 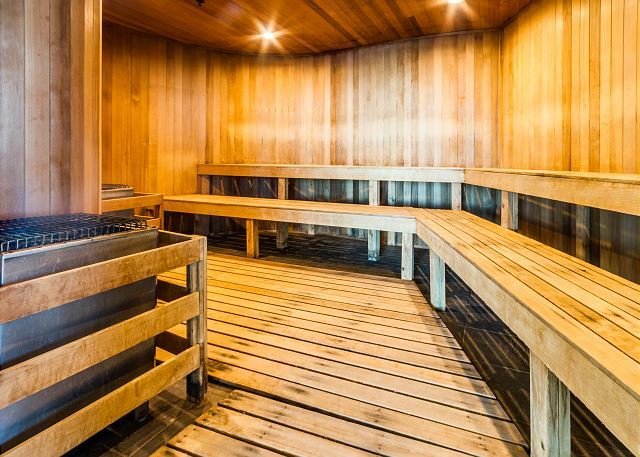 Followed by a sit in the steam room or sauna. I didn't partake in the fitness center, but the teenagers enjoyed their time in it. All of the appliances in our unit were modern and we were provided with supplies that allowed us time to settle in before going to the store. Thank you Joy Sullivan/HomeAway for one of the best weekends of all time.